1796 The founder, John Letts, established a stationery business in the arcades of London's Royal Exchange. 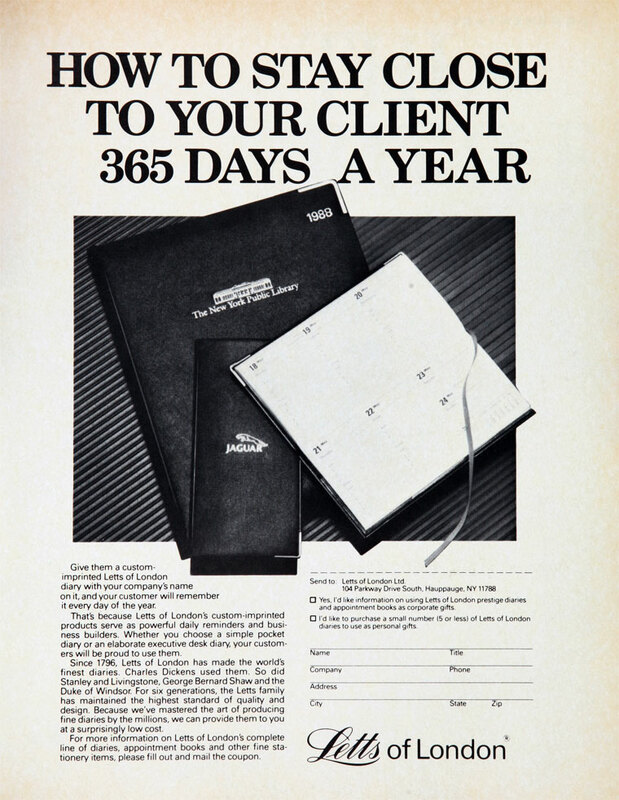 1812 The merchants and traders who frequently purchased stationery items from this shop needed a means of recording the movements of stock and controlling their finances - John Letts responded by creating the world's first Commercial Diary. 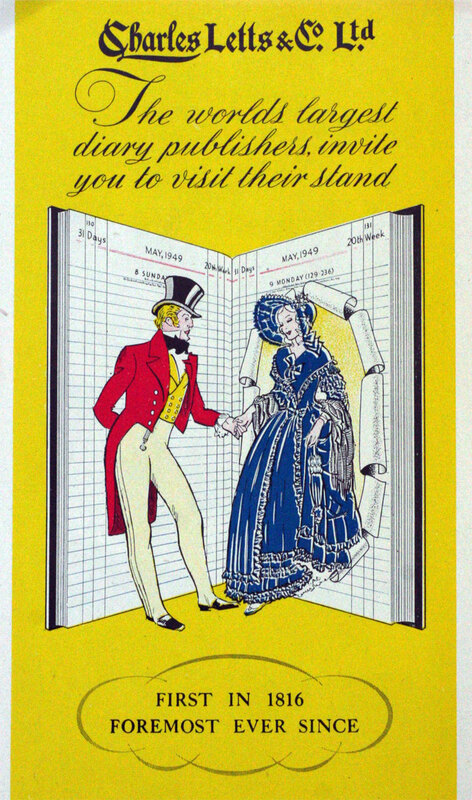 Rapid refinement of the product, with the introduction of detailed information sections, meant that by the 1820s the first modern style diary ranges were being published. By 1861 The company was well known for publishing diaries: Letts, Son and Co.
1870 The diary business was established as a limited company: Letts, Son and Co.
1880 Charles Letts resigned from Letts, Son and Co to set up Charles Letts & Co.
1885 The public company Letts, Son and Co lost direction and went into liquidation. 1944 Charles Letts and Co was registered as a private company to take over the business of the same name. 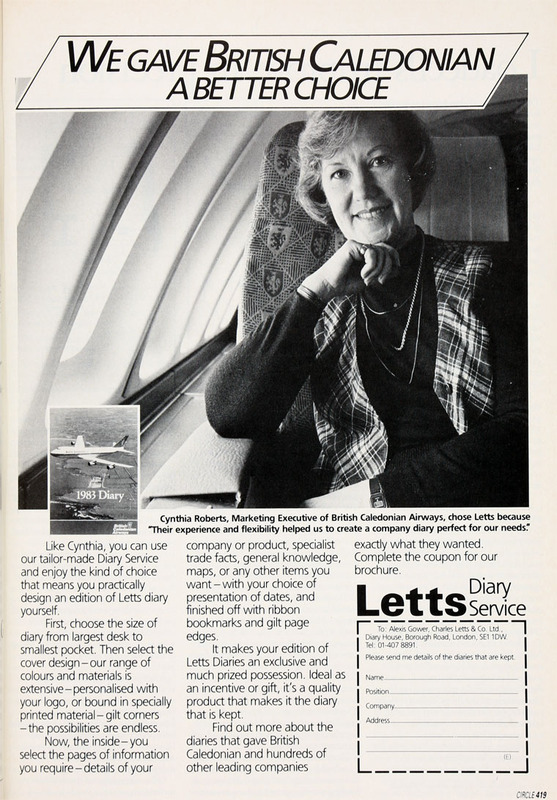 1945 Hazell, Watson and Viney sold Letts Quickref Diaries to Charles Letts and Co and at the same time took a financial interest in that business; all Letts diaries would henceforth be produced by the Charles Letts Co.
1980 Production moved to Dalkeith near Edinburgh. 1992 Company acquired from the Letts family and measures put in place to return it to profitability. 1996 Acquired by Bemrose, printers. 2001 Letts acquired the Filofax Group, to become the Letts Filofax Group Ltd which now consists principally of two UK operations and eight overseas subsidiaries. This page was last edited on 1 July 2017, at 11:07.